The GoToAssist Corporate Management Center offers advanced management and reporting tools that provide supervisors and managers the ability to manage representatives, access detailed performance reports, review chat transcripts, replay screen-sharing sessions, and monitor live activity. To get started using the Management Center, the first step is to log in to your manager account from your desktop computer to access the web app. There are various levels of user roles for GoToAssist Corporate: company manager, API manager, team manager, and representative. Let's review the differences each role has to offer. A company manager is an account administrator (i.e., account-level manager) whose account is created by an internal admin when a GoToAssist Corporate account is set up. Company managers can add and manage API & team managers, as well as restrict access to some features and/or require the use of others. Company managers log in to their account via the Management Center at www.gotoassist.com/manager. Learn more. What is an API manager? An API manager has the ability to use the GoToAssist Corporate REST API for User Provisioning, which is available at https://goto-developer.logmeininc.com. An internal admin must enable a company manager with the ability to create new API managers. API managers log in to their account via the Management Center at www.gotoassist.com/manager. Learn more. Team managers can view and manage teams of representatives to which they are assigned. Depending on their team-level rights, team managers can restrict or require access to certain features and tools for their assigned teams and/or representatives. Team managers log in to their account via the Management Center at www.gotoassist.com/manager. Learn more. Representatives are users who are assigned to receive, respond to, and support customers using GoToAssist Corporate. These users can be added and managed by company managers, as well as team-level managers (if this permission is enabled by a company manager). They are assigned a HelpAlert login that allows them to receive queries and support customers using portals/subportals to which they have been granted access by a manager. Representatives log in to download HelpAlert at www.gotoassist.com/haupgrade. Learn more. Note: If a representative has been granted Management Center access, they can also log in to the Management Center at www.gotoassist.com/manager. I was given a manager login and password for my new account. What's next? Welcome to GoToAssist Corporate! 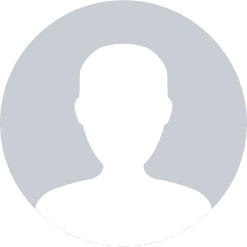 When a new manager is added to an account, they are provided the login credentials by the manager who created their account. The next step is to log in at www.gotoassist.com/manager with your new manager credentials. Learn more. How do I reset my manager password? If you have forgotten your password or need to reset it, go to Password Recovery, enter and confirm your Login (must be in email address format), then click Submit. Learn more. Are there different login sites for managers and representatives? Yes. Company, team, and API managers log in to www.gotoassist.com/manager, while representatives log in to www.gotoassist.com/haupgrade. How do I know if I have a company or team manager account? When you log in at www.gotoassist.com/manager, look at the menu items in the left navigation. If "Managers" is displayed as a menu item, you are a company manager; if this option is not displayed, you are a team manager. The "My Settings" page provides the ability for you to change your own Management Center password, email address, time zone and language preferences. Learn more. How do I change my login settings? Click My Settings in the left navigation. Click My Settings > Language in the left navigation. Select your desired language from the options displayed. Use the Management Center to add and manage representatives, and group 1+ representatives into teams and/or subteams that can be assigned to specific customer portals for fielding queries. Access to features & tools can be configured by settings across all representatives within a team, or ad-hoc per representative(s), which overrides the team settings. Company managers and team managers are able to configure these settings. The "Managers" page allows company managers to create team managers who can log in to the Management Center to view and manage those teams to which they are assigned (team managers may be assigned to manage more than one team, but they may not create other team managers). The team manager may be enabled to set a number of team-level and representative-level rights. Learn more. Go to Managers > Add Managers in the left navigation. Fill in the required manager settings listed here. Click Add Manager when finished. See Change Manager Settings to modify. Note: If the manager also has a HelpAlert login, their Management Center login must be different, but the email address can be the same. How do I delete a team manager? Click Managers in the left navigation. On the Mangers tab, use the search fields to find and select the check box(es) of the desired manager(s). Click Delete Selected Managers > OK. Teams and subteams are groups made up of 1+ representatives, which enables company and team managers to group representatives into nested teams for centralized administration and management. While teams may be configured to accept queries from 1 or more sub-portals, representatives may only be assigned to 1 team at a time. However, they may be moved from 1 team to another by managers. Learn more. Click Teams in the left navigation. Enter a name in the text field at the bottom and click Add Team. On the Add Team tab, modify the team settings. Click Add Team when finished. See Change Team Settings to modify. Note: Team settings may be overridden on a per-representative function. 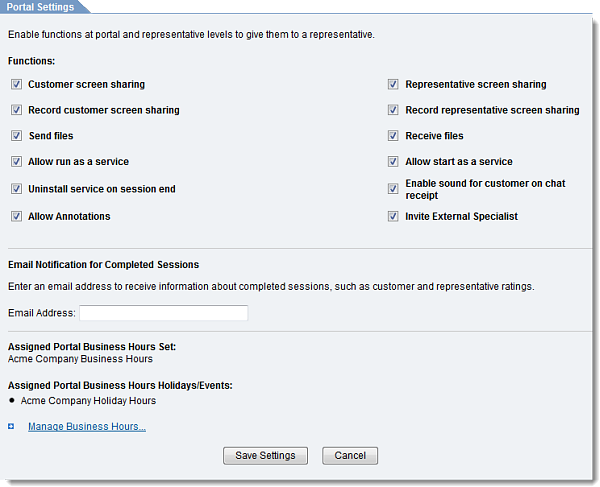 Functions must be turned on at both the portal and representative levels to be enabled for a specific representative. How do I add a subteam? Click the Arrow icon next to the desired team to add a subteam. Enter a name in the text field and click Add Subteam. On the Add Subteam tab, modify the subteam settings. Click Add Subteam when finished. Note: Subteam settings may be overridden on a per-representative function. Functions must be turned on at both the portal and representative levels to be enabled for a specific representative. How do I assign representatives to a team or subteam (and its portal/subportal)? Ensure that the desired team is assigned to the desired portal (Teams > [select team] > Portal). Click Representatives in the left navigation and select the desired representative (or add a new one). 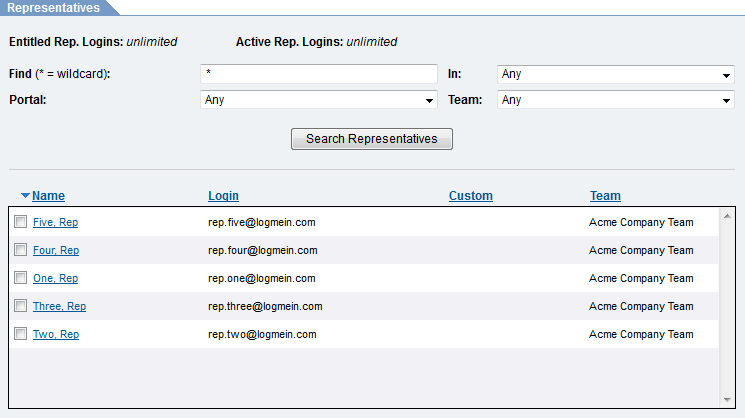 Use the Team drop-down menu to assign the representative to the team or subteam. How do I assign teams (and their representatives) to a portal/subportal? Click Teams in the left navigation and select the desired team. Use the Portal drop-down menu to assign the team to the desired portal. How do I delete a team or subteam? Select a team or subteam. Click Delete Team or Delete Subteam. Note: Deleting a team or subteam does not delete the assigned representatives from your account. Representatives are the individuals who are assigned to receive, respond to, and support customers; they can be added and managed by company and team managers (if enabled by company manager). They are assigned a HelpAlert login that allows them to receive queries from and support customers using those portals/subportals to which they have been granted access by a manager. Note: Managers can grant representatives limited access to the Management Center. Learn more. How do I add a representative manually? Click Representatives > Add Reps in the left navigation. Enter the required information for the new representative. Click Add to List to add the new representative to the Pending List. If desired, complete Step #2 again to add additional representatives. To remove a representative from the pending list, select it and click Remove from List. Confirm and click Submit. See Change Representative Settings to modify. How do I add multiple representatives via batch entry? Click the Click here link at the top of the page. In the Batch Entry field, enter the list of representatives in the following format: parent team name, team name, login, first name, last name, password, screen name, custom. Click Add Representatives. See Change Representative Settings to modify. How do I move a representative between teams? Click Representatives in the left navigation. Select the checkbox(es) of the desired representative(s). In the "Move Selected Representatives to" drop-down menu, select the representative's new team. Click Move Representatives > OK. Note: Team managers can only move representatives from one team to another if they are a manager on both teams. How do I edit a representative? Click the name of the representative. Make desired changes, then click Save Settings. How do I delete a representative? Click Delete Selected Representatives > OK. Note: Once a representative login is deleted, you will be unable to run reports on that representative. However, portal reports will still reflect that representative's sessions and data. Customer portals are websites that provide a starting point for customers to join support sessions and connect with representatives who are logged in to HelpAlert. When created, each customer portal has its own unique URL that is specific to the account for which it was created (with the exception of the GoToAssist.Me portal). Additionally, there are portal types (i.e., GoToAssist modes of connection) that define the layout and display available text fields that are shown to customers when they visit the customer portal. Note: Customizing portal settings is only available to company managers. Disabling settings on a per-portal basis will also disable those settings for all representatives assigned to those portals. Company managers can view portals and subportals within the Management Center, as well as adjust* portal settings and assign representatives to each selected portal. All customer queries come through a subportal and are routed to representatives who are logged in to that subportal through the GoToAssist Corporate HelpAlert software. When assigned to a subportal, representatives can use various HelpAlert software features within a support session, including file transfer, screen sharing, retrieval of diagnostic information, and many others. Note: Each portal automatically includes at least one subportal. Features can be enabled on a per-portal basis. *A company manager's ability to change portal settings must be enabled by an internal admin. Company managers are able to enable and disable functions on a per-representative or per-portal basis. The "Portals" page allows company managers to enable functions on a per-portal basis (see Change Representative Settings for information about enabling settings on a per-representative basis). Functions must be enabled on both a per-portal and per-representative basis in order for them to be enabled for a specific representative. Click Portals in the left navigation and use the Arrow icons to find and select the desired subportal. Use the Portal Settings tab to modify settings on a per-portal basis. Note: Click the View current portal representatives link in the top navigation to go to the “representatives” page, where you can assign representatives to a portal/subportal via teams. You can enter an email address to receive information about completed sessions, including customer and representative ratings. At the bottom of the Portal Settings tab, enter an email address and click Save Settings. You can modify the email address field at any time and click Save Settings. To view and manage business hours and holiday/events for a portal, click Manage Business Hours. Learn more. Click Teams in the left-navigation and select the desired team. Managers can use dashboards and silent session monitoring to oversee all live interactions between representatives and the customers they support. The dashboard monitors feature enables you to temporarily observe the real-time status of incoming queries posted by customers, as well as the status of representatives who are logged in to HelpAlert. Dashboard monitors are accessible via the Management Center for all company and team managers. Note: Dashboards automatically time out after 12 hours. How do I add a dashboard monitor? In the left navigation, click Dashboard. Select a monitor to add to the dashboard from the "Add a Monitor" drop-down menu. Configure the monitor settings listed here. The dashboard will continue to monitor the queries, representatives, or queue as configured after you log out of the Management Center. How do I remove a dashboard monitor? Click the Close icon to remove the dashboard monitor. Using the silent session monitoring feature, managers may view and monitor an active remote session while invisible to the customer and all representatives. See Dashboard Monitors for information about creating monitors that are visible to other managers within the Management Center. Because the configuration of the Management Center varies depending upon the settings chosen by account administrators in the Admin Center, managers may not see all features and options when logging into the Management Center. How do I monitor an active session? Managers can open the Viewer and Chat box of the active support session in either via the HelpAlert application or the Management Center. Learn more. The Reports feature provides various pre-configured reports that allow you to analyze portal and representative performance, service metrics, and customer feedback. Please keep in mind that report data is only stored for 90 days. Additionally, representatives can run pre-configured reports based on their own support sessions if they are granted permission to this feature by a company or team manager. You can generate detailed reports on all aspects of each support session or chat interaction that occurs between your representatives and customers. What reports are available for managers with Management Center access? What reports are available for representatives with Management Center access? On the Reports tab, create a new report by configuring the settings listed here. If you attempt to generate a report using the "Date Range: Begin/End Dates" drop-down menu, then selecting a "Begin Date" and "End Date" for session data outside of the date range allowance will display a message, "Session data is only stored for 90 days. Date range begins too far in the past." Note: Because reports open via pop-up windows, they may not generate properly if you have pop-up blocking enabled in your web browser. Complete Steps #1 - 2 of "How do I create a report?" (listed above). Instead of clicking the Generate Report button, enter a name for the report and click Save Report. The report appears in the "My Reports" list at the bottom of the page and remains available for 90 days. Note: You can also set up recurring reports to be automatically emailed to you. See Enable Scheduled Email Delivery for more information. How do I edit, run, or delete a saved report? Run a saved report – Select the report and click Generate to generate a report based on the newest data. Edit a saved report – Select the report and click Edit to modify the parameters of the saved report. Delete a saved report – Select the report and click Delete to remove it from the list. The Monthly Reports feature provides various reports to analyze portal, team and representative performance, monitor service metrics, and view customer feedback up to 1 year from the date the report was created. Managers can search for report data using the fields or select an existing report. How do I create a monthly report? Click Reports > Monthly Reports in the left navigation. Click the Create a new monthly report link. Create the new report by configuring the settings listed here. Click Save when finished. The report appears on the "Select Monthly Report" list. How do I edit, download, or delete a monthly report? Search for report data – Select search parameters and click Search. Delete reports – Select the report and click Delete to remove it. Download reports – Select a format type and click Download to download a new copy of the monthly report. View report details – Select the report and click View Details to open a new window. The scheduled email delivery feature allows you to schedule saved reports to automatically email to a specified email address. How do I set up automatic email delivery? Complete Steps #1 - 2 of "How do I create a report?" Instead of clicking the Generate Report button, configure the options below the button listed here. Click the My Settings link to change the email address to which the reports should be sent. This will change your account email address. With access to session review, you can replay a recorded video of all activity that took place for each session, as well as export chat transcripts and remote diagnostic information. You can also review a security feature that allows you to set up a passphrase that can be used for any representative or manager that would like to review a session. The Session Review feature in the Management Center enables managers and representatives to review all activity that occurred during support sessions, save recorded sessions locally on their computer, and even set up a unique passphrase for representatives and other managers to replay session recordings. Learn more. Note: This feature is only available to managers and representatives who have been granted Management Center access. Managers and representatives with Management Center access can use Session Review to review support sessions, including viewing session chat transcripts, remote diagnostics and session recordings. How do I replay a recorded session and review session information? 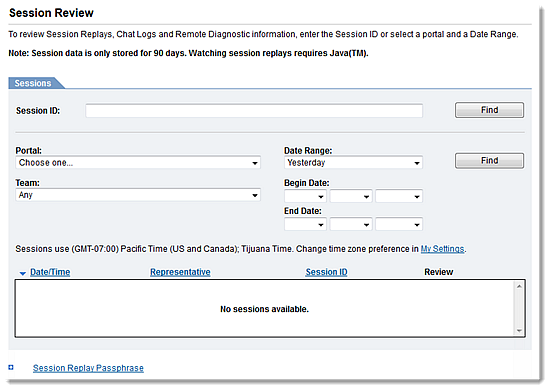 If prompted by Java, click Allow, Run or OK.
Search for a session by either entering the Session ID or using the portal, team, and/or date range drop-down menus. In the search results, you can choose to view the chat transcript, replay a session in the Viewer, and/or review the remote diagnostics. Learn more. Company managers can export session recordings to WMV format for all representatives, and team managers can export only for those representatives assigned to the teams they manage. Representatives can export session recordings only from the sessions they create. Note: If your portal has been configured to save recordings locally to the representative and/or customer's computer, recordings will be saved at the end of each session automatically. For more information, please see Access Local Session Recordings. How do I export a session recording? In the left navigation, click Session Review. Select the desired session to export and click the Review icon to open the Viewer window. If a session is older than 90 days, an Unavailable Data icon will appear with a message, "Data no longer available – Session data is only stored for 90 days." If prompted, accept the download to allow the session to load. If needed, restart the download by clicking download & run GoToAssist Replay. On the Viewer menu bar, select File > Export to WMV. Select the desired screen resolution and click Begin Exporting. On the Export File window, browse to the desired storage location. If desired, rename the file and click Save. Note: Configurations vary. You may have an additional icon allowing you to view local screen sharing sessions. A representative's portal settings can be enabled by their GoToAssist account administrator for session recordings to be saved locally on the representative's and/or customer's Windows computer. When this setting is enabled, the screen activity that occurs during their support session will be saved as a file on their computer, and can be played back using the GoToAssist Session Replay application. Learn more. Note: Saving and playing back session recordings is not supported for Mac customers. What are the benefits for saving session recordings locally? Saving session recordings locally allows account holders to be alleviated of data privacy concerns where session recording data cannot be stored by 3rd parties or in the U.S. due to company policy restrictions. Additionally, accounts that need the flexibility of hosting support sessions whose session recording data exceeds our maximum file size of up to 200 MB and/or those who need to access recordings past the standard 90 day storage time frame, can also benefit from allowing this data to be stored locally. How do I enable local session recording? This feature can only be enabled by a GoToAssist account administrator. If you are the company manager or primary contact for your GoToAssist Corporate account and would like to enable this feature, please contact Customer Care. How do I access my locally saved recordings? Session recordings will be saved at the end of the support session in a folder called "G2ACRecordings" within the "My Documents" or "Documents" folder of the Windows user profile (e.g., C:\Users\<username>\Documents\G2ACRecordings) on the local computer of the representative who hosted the support session and/or the customer that joined the session. The file extension (.g2a) is a proprietary session recording format that can only be played back using the GoToAssist Corporate Session Replay app. Note: Instructions for navigating to "My Documents" or "Documents" may vary depending on the version of Windows you are using. Where can I download the Session Replay app? You can download the latest version of the Session Replay app here. How do I play back my session recordings? Locate and select your desired recording from the G2ACRecordings folder. The session recording will play back within the Session Viewer window. If desired, you can export your session recording to be saved in .wmv file format. Managers can create a unique passphrase that is required to be used by representatives and other managers in order to replay session recordings. How do I create a session replay passphrase? How do I change or remove a session replay passphrase? You can either change the password or remove the password completely.